Shankar Raman has more than 25 years of experience in the PLM industry and has held various positions at Siemens during that time. He has worked with a number of clients across industries helping them establish their Digitalization goals and realize the vision across multiple domains. As part of his role at Siemens, Shankar has built and led Business Development and Solutions Consulting teams and also developed and managed customer /partner relationships. 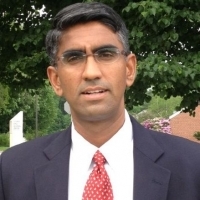 Shankar has a Master’s in Manufacturing Engineering from UMASS Amherst and an MBA from RPI.